WUWM carried out an informal survey, by driving around town and asking Milwaukeeans what they think about police-community relations here. We started at Neuvo Mercado El Rey on South Cesar E. Chavez Drive. 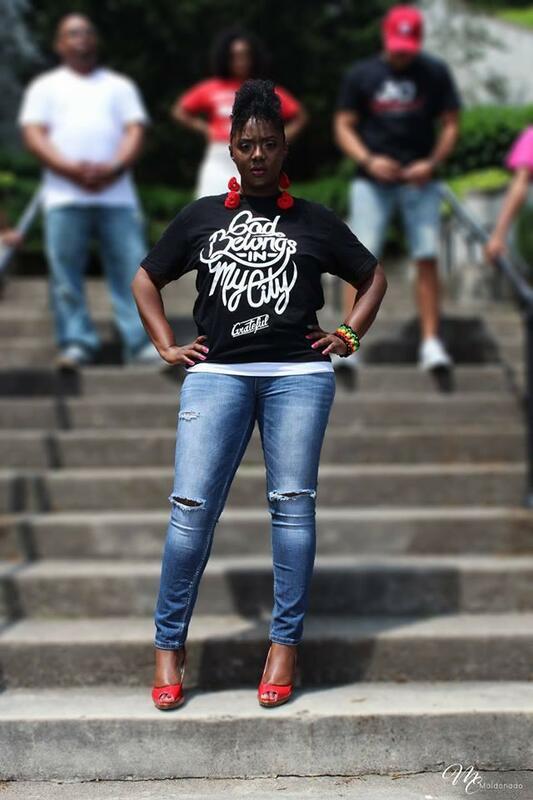 “All the policemen in the south side who I know are very friendly to the customers and to us. They do a really good job on the south side," El Rey co-owner Ernesto Villarreal says. Cynthia Renteria, who was walking into El Rey, says she’s never had any kind of contact or problem with the police, but her father has had a few bad experiences. An independent survey released earlier this month indicated that most Milwaukee residents are somewhat, or very, satisfied with police. Yet many people, especially minorities, view the police through a lens of frustration, anger, or even fear. 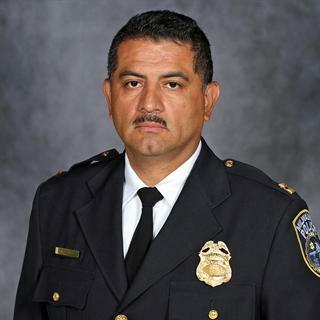 The city could be at a pivotal juncture, however, with last month's retirement of longtime Police Chief Edward Flynn, and the eventual installation of a new leader. 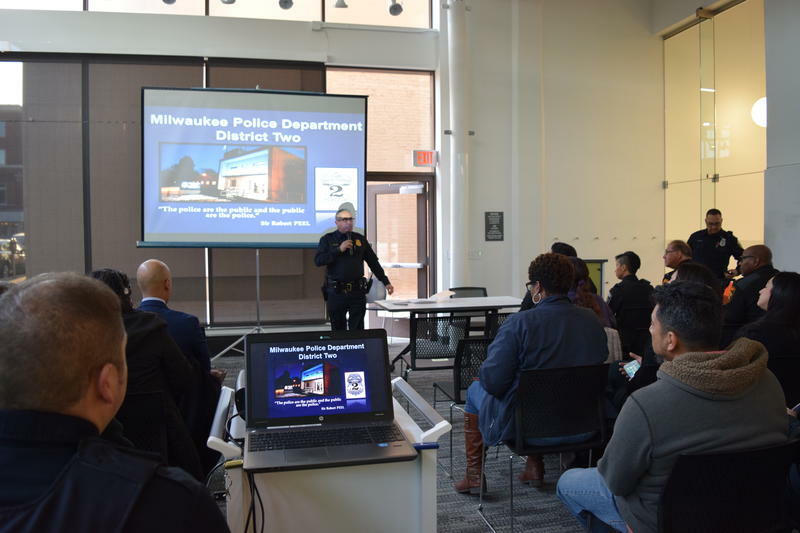 Throughout WUWM's Project Milwaukee series this week, we've heard from police leaders, activists, and experts about what's being done to mend police-community relations in Milwaukee. We also wanted to hear how officers view the issue. WUWM's Teran Powell sits down with Milwaukee Police Department Captain Heather Wurth, who's been with the police for more than 20 years, and 17-year veteran Sergeant Sheronda Grant. For nearly two decades, Milwaukee County’s Community Prosecution Program has been teaming up police with the District Attorney’s office to respond to citizen complaints. 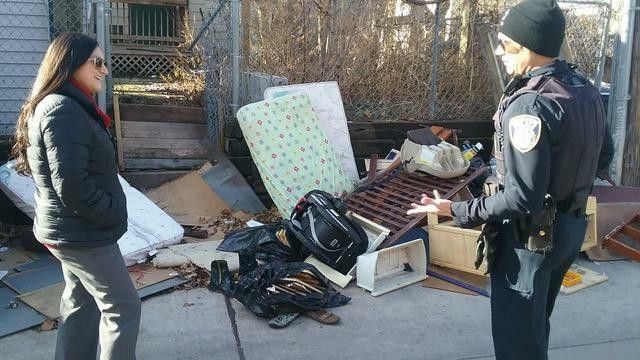 While it remains popular with residents, the program appears to be in jeopardy. The federal government stopped funding the program last year. Only three of the seven Community Prosecution Units remain in operation in Milwaukee County, that is until they spend the last of the money allotted to them in previous years. 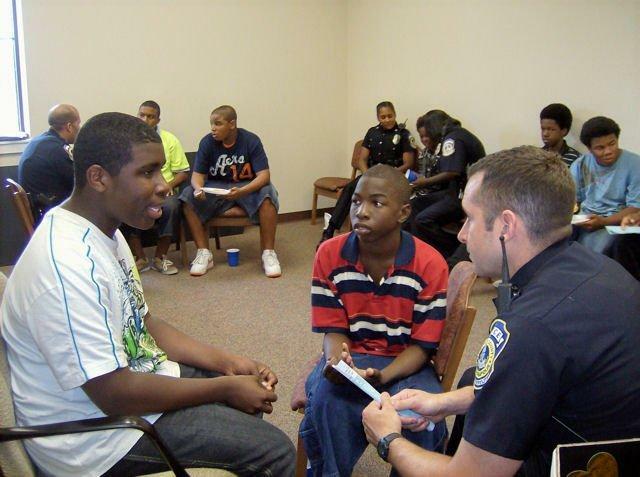 The mission of Community Coalition for Quality Policing is to reduce crime in Milwaukee, increase the cooperation between police and community members, and improve morale among police officers. 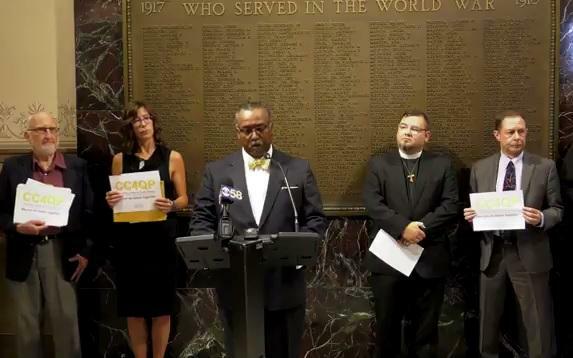 CC4QP is made up of a diverse group of 20 plus advocacy, faith and service organizations - including the Milwaukee branch of the NAACP. Fred Royal, president of the chapter, says, "Policing, just like any relationship, has to be worked on constantly." This week, we’re examining police-community relations, as part of our series Project Milwaukee: To Protect and Serve. The relationship is sometimes tense. But, there are examples of the police and community working together to solve problems. I stopped at the monthly crime and safety meeting on Milwaukee's near south side last week. More than 100 people who live in the neighborhood filed in to the Mitchell Street Library to take their seats. All this week, our latest Project Milwaukee series, To Protect and Serve, is examining the state of police-community relations here. 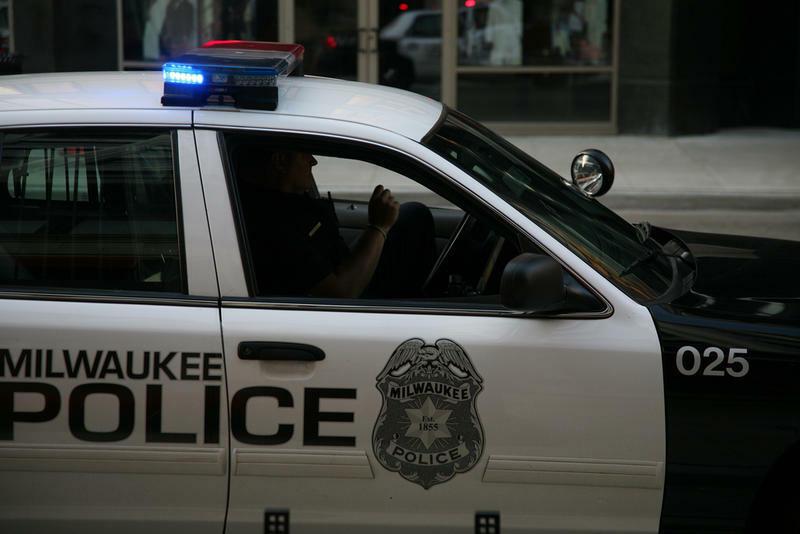 WUWM's latest Project Milwaukee series, To Protect and Serve, airs March 26-30. It will focus on relations between law enforcement and the community it is sworn to protect, at a time of major transition. We preview the series with two of the people that helped shape it - Ann-Elise Henzl, WUWM News director and Audrey Nowakowski, Lake Effect producer and Project Milwaukee co-executive producer. As WUWM gears up for our latest Project Milwaukee series, we want to hear from you. 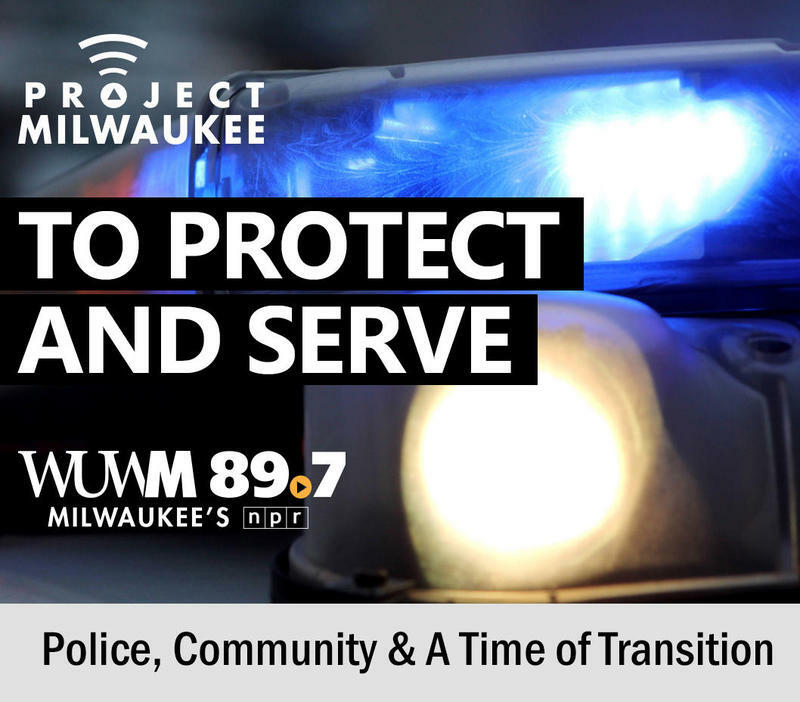 Airing March 26-30, Project Milwaukee: To Protect And Serve will examine the past, present and future of police-community relations in Milwaukee. Because YOU are the community in police-community relations, it is important that we include your questions, your voices, your experiences. 1.) Help shape this series. Segregation in metro Milwaukee can be traced back, in part, to discriminatory housing practices like redlining and racial restrictive covenants. 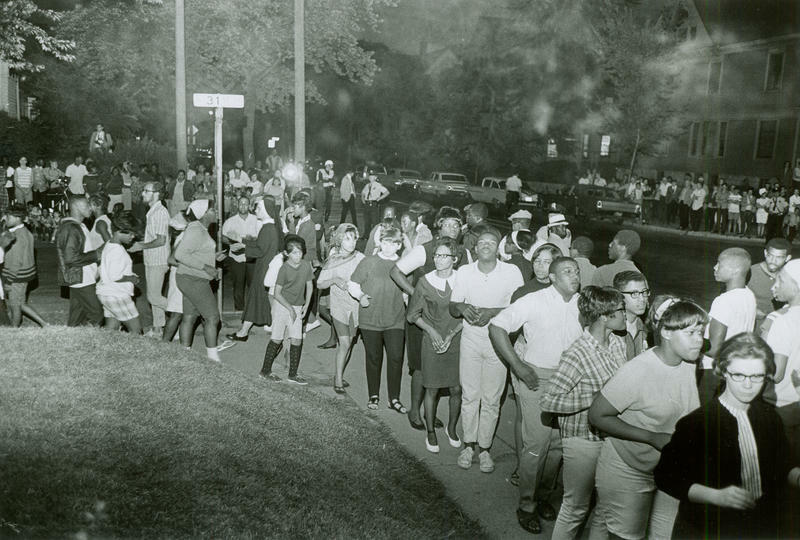 During the Civil Rights movement, there was large-scale pushback against such practices. Project Milwaukee: How Can Metro Milwaukee Become More Integrated? What can I do to help decrease segregation? What is being done to alleviate the problem? 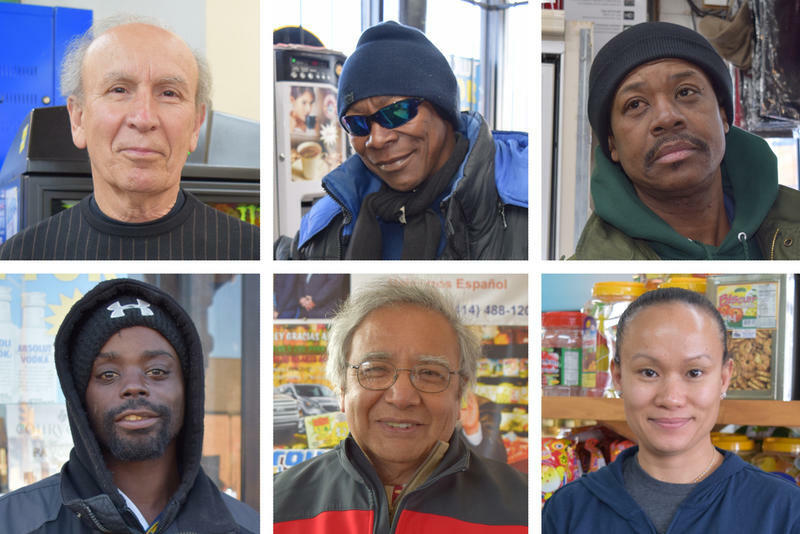 What can we do to change how segregated metro Milwaukee is? During WUWM's series, Project Milwaukee: Segregation Matters, the most common questions we received from YOU regarding segregation dealt with solutions. Solving this issue will not be easy. 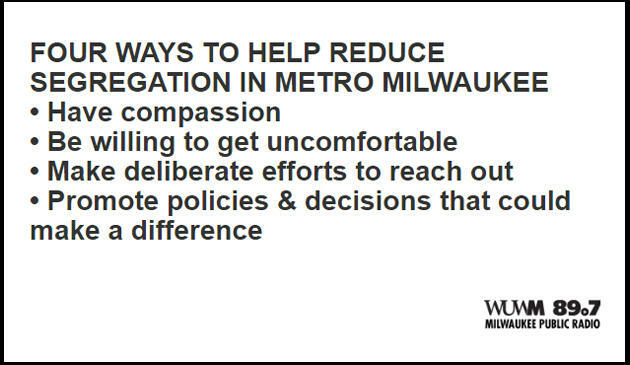 However, several ways to help reduce segregation in metro Milwaukee did emerge during our coverage.